Keeping Warm: Rated M. By rabidsamfan. Purdey and Gambit find a way to while away the hours when a blizzard hits London. Victor: Rated T. By Khell. 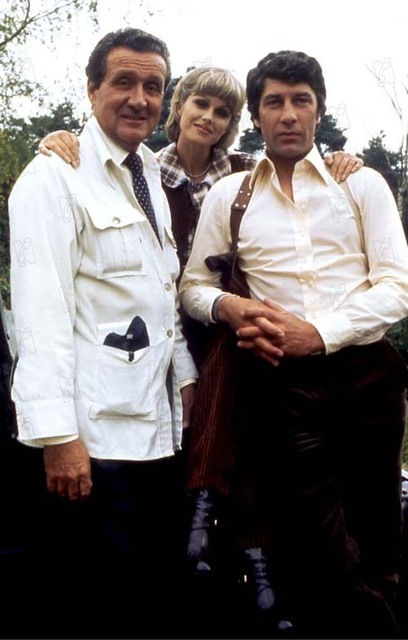 Victor wants to marry Purdey. But Purdey doesn't want to marry Victor. So what does Victor do? The New Avengers: Rated K+. By Khell. In which the penny finally drops for Purdey and Gambit doesn't get it. The Coin: Rated K+. By Khell. Why Purdey didn't go on to become a musical star. Carry Me Over: Rated T. By Khell. Gambit's worried sick - Purdey doesn't want to talk. Scent of the Dying: Rated K+. By 1985laurie. Gambit finds himself involved in a bizarre and dangerous case, risking his life to stop a kidnapping - just another day at the office for the Department's finest. Somewhere in Between: Rated T. By PhilippaRM. For some strange reason Purdey's suddenly an officer of MI5, section D, but she has no idea how it happened. How will she get back to Gambit and Steed and her old life? Spooks crossover with The New Avengers. Overtime and Dinner for Four: Both rated M. By C. Kay. Relative newcomer to Avengerland, C.Kay, speculates on Steed and Gambit's lives in a pre-millennium, Purdeyless universe.